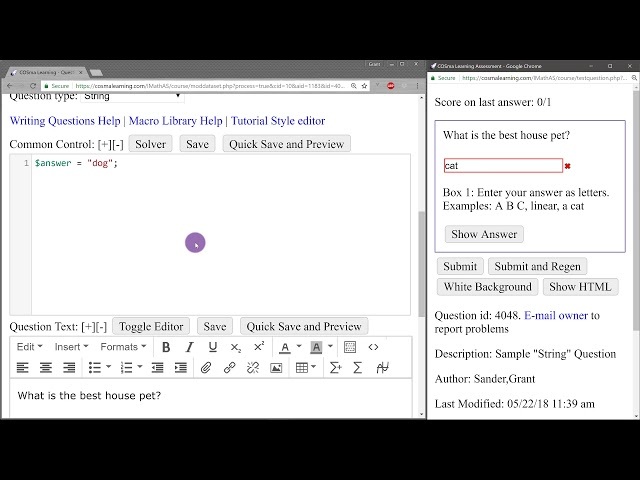 This page consists of tutorial videos for question authors. 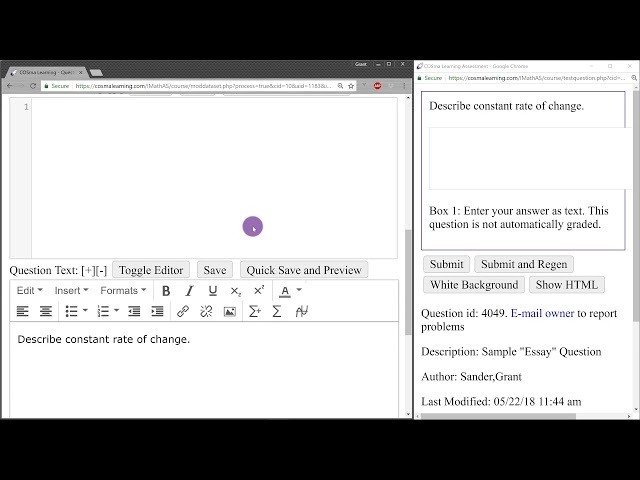 The video below covers how to set up a question-writing environment. The video below looks at the question authoring page. 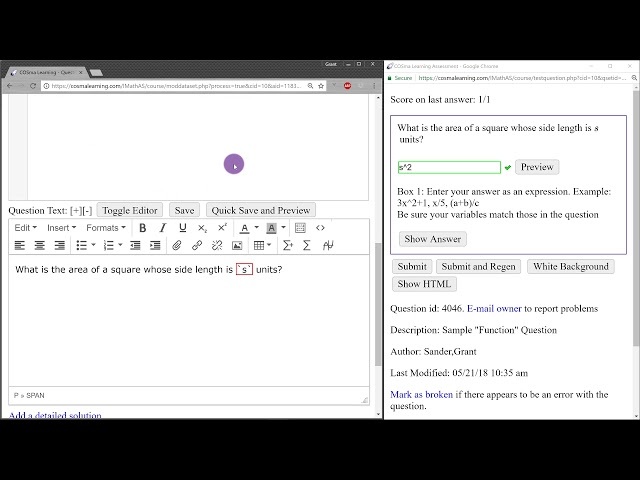 The "Question Text" is the markup that is shown to students. 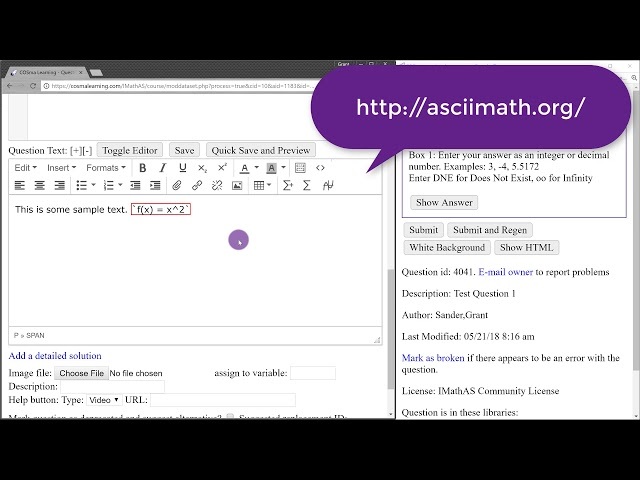 The video below explores the Question Text portion of the question authoring page. The "Common Control" portion of the question authoring page is where you add code for the question. The videos below cover the basics of Common Control. 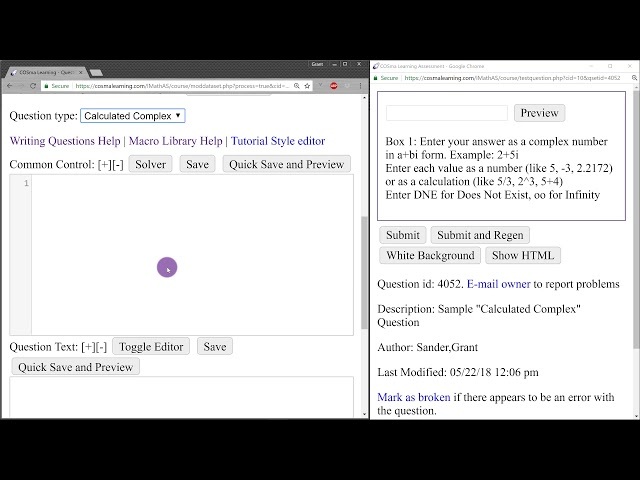 This first video (below) covers what the Common Control is and how to define variables. This next video covers some of the data types in IMathAS. The next video looks at some comparison operators and some logical-flow controls. The video below shows a simple first example that ties together the prior videos. 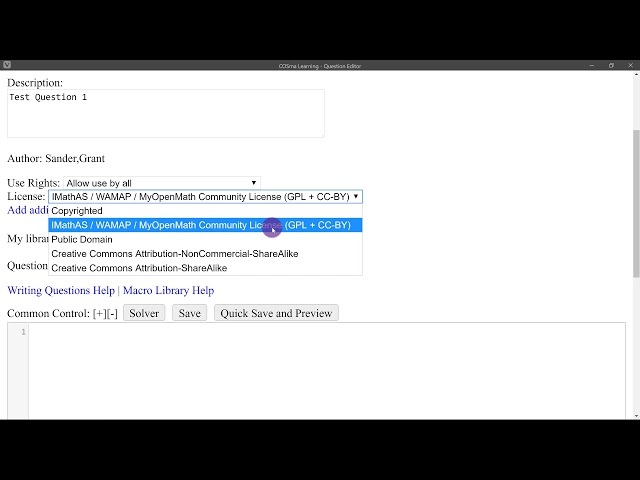 The video below covers some of the randomization functions in IMathAS. 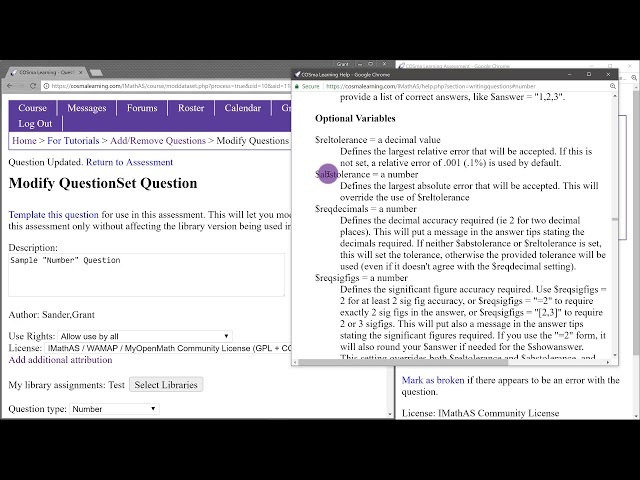 This section covers the question types in IMathAS. The video explores the "Number" question type in IMathAS. 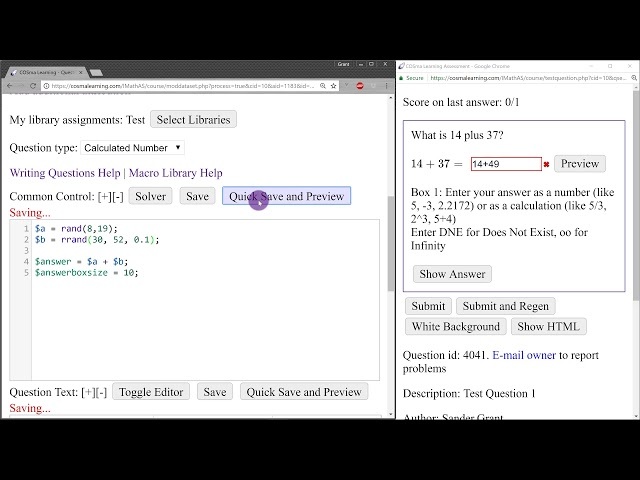 The video explores the "Calculated Number" question type in IMathAS. 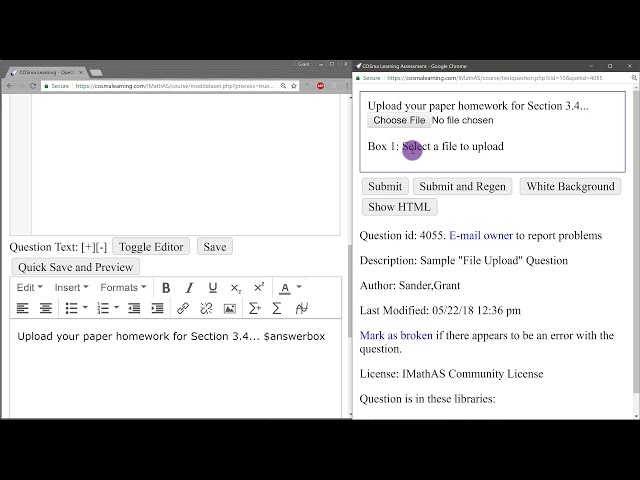 The video explores the "Multiple Choice" question type in IMathAS. 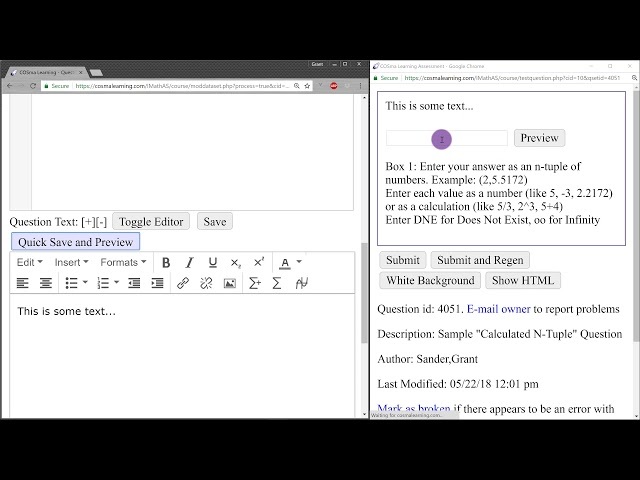 The video explores the "Multiple Answer" question type in IMathAS. 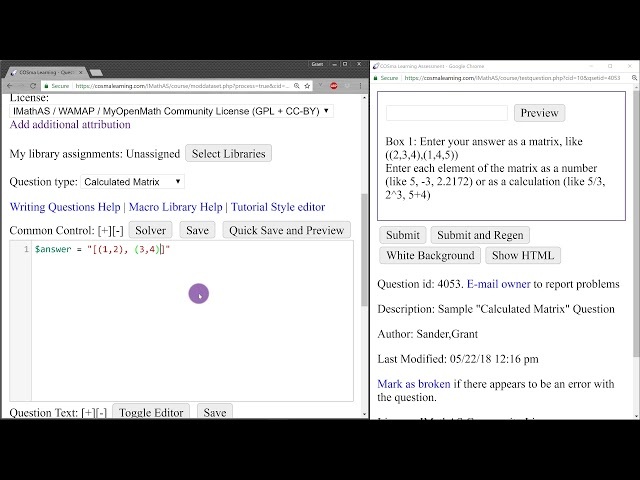 The video explores the "Matching" question type in IMathAS. 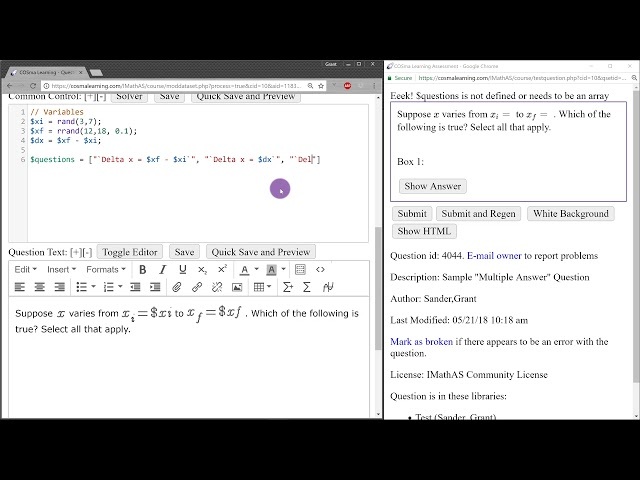 The video explores the "Function" question type in IMathAS. The video explores the "String" question type in IMathAS. 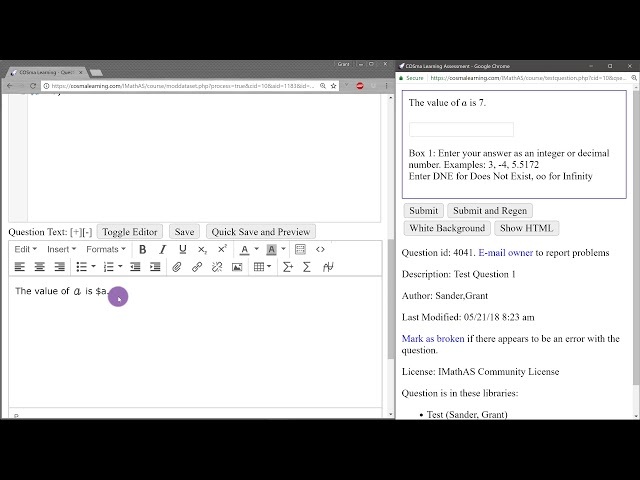 The video explores the "Essay" question type in IMathAS. 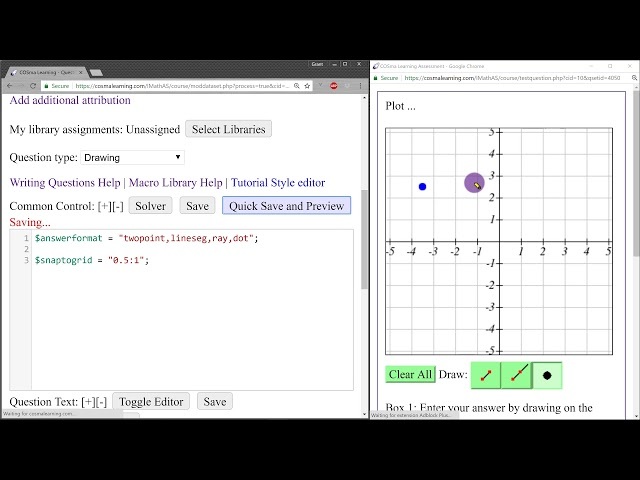 The video explores the "Drawing" question type in IMathAS. The video explores the "Calculated N-Tuple" question type in IMathAS. The "Calculated N-Tuple" question type is the "calculated" version of the "N-Tuple" question type. If you don't want students to be able to enter calculations, use the normal "N-Tuple" question type. The video explores the "Calculated Complex" question type in IMathAS. The "Calculated Complex" question type is the "calculated" version of the "Complex" question type. If you don't want students to be able to enter calculations, use the normal "Complex" question type. The video explores the "Calculated Matrix" question type in IMathAS. The "Calculated Matrix" question type is the "calculated" version of the "Matrix" question type. If you don't want students to be able to enter calculations, use the normal "Matrix" question type. The video explores the "Calculated Interval" question type in IMathAS. The "Calculated Interval" question type is the "calculated" version of the "Interval" question type. If you don't want students to be able to enter calculations, use the normal "Interval" question type. 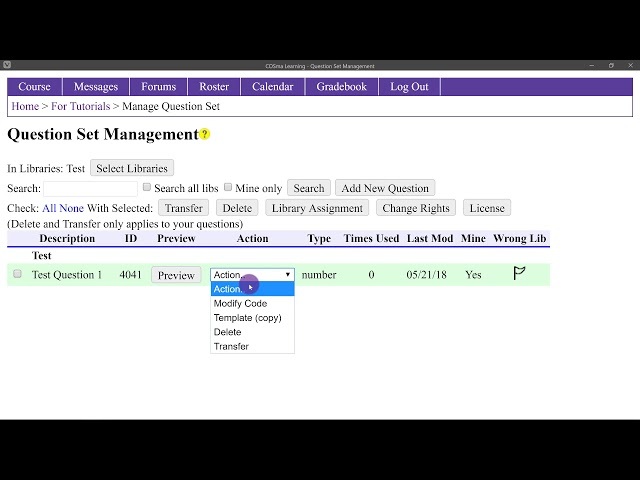 The video explores the "File Upload" question type in IMathAS. 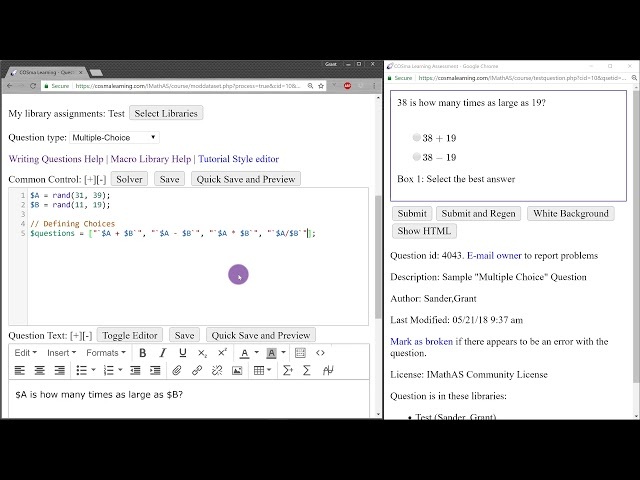 The video explores the "Multipart" question type in IMathAS. 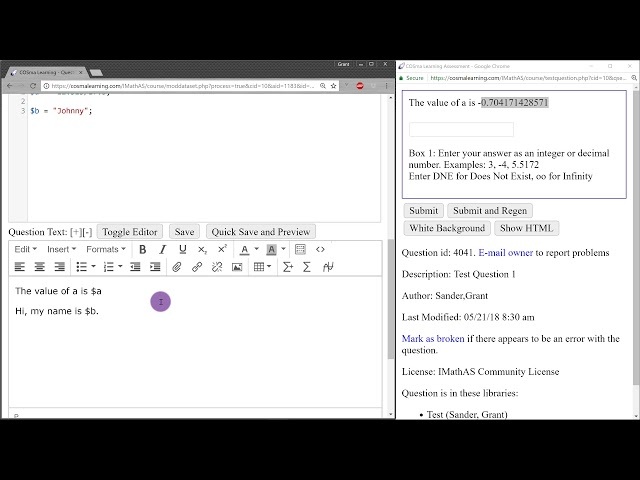 The video explores the "Conditional" question type in IMathAS. Use the $stuanswers variable to access student answers (and $stuanswersval for calculated parts).